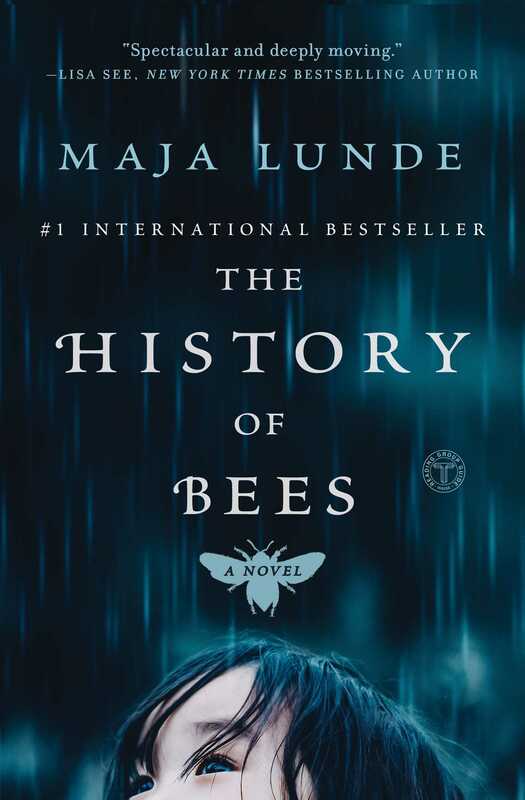 This reading group guide for The History of Bees includes an introduction, discussion questions, ideas for enhancing your book club, and a Q&A with author Maja Lunde. The suggested questions are intended to help your reading group find new and interesting angles and topics for your discussion. We hope that these ideas will enrich your conversation and increase your enjoyment of the book. In the spirit of Station Eleven and Never Let Me Go, this dazzling and ambitious literary debut follows three generations of beekeepers from the past, present, and future, weaving a spellbinding story of their relationship to the bees—and to their children and one another—against the backdrop of an urgent global crisis. England, 1852. William is a biologist and seed merchant who sets out to build a new type of beehive—one that will give both him and his children honor and fame. 1. The History Of Bees alternates between three perspectives: those of Tao, George, and William. With which of these three main characters did you most relate? To whom did you find it hardest to connect? With whom do you most identify? 2. On page 30, William’s mentor, Rahm, opines “One reproduces, has offspring, one instinctively puts their needs first, they are mouths to feed, one becomes a provider, the intellect steps aside to make way for nature.” Do you agree or disagree with Rahm’s statement? What do you think William felt when his mentor put it thusly? 3. On page 36, George thinks longingly of the bees’ buzzing as the “real reunion celebration.” How does George’s expectation of how his reunion with Thomas will go impact how the two men relate to each other? 4. Throughout the book, there’s great emphasis on experience vs. intellect. Think of George’s experience vs. Thomas’s books, Tao’s attempts to discover what happened to Wei-Wen, William’s relationship with Rahm. Which brand of “knowledge” do you think is more valuable? 5. George is preoccupied with leaving a “legacy” behind, resisting Emma’s attempts to move them to Florida. From where does his legacy ultimately come? Is it what you expected? 6. William, on page 116, says of his desired creation “Only humans could construct proper buildings, a building it was possible to monitor, which gave humans, not nature, control.” From where does the impulse to control nature come? Do you think that a desire to control the natural world is something humans can overcome without catastrophic reason? 7. How do the workings of the hive impart a lesson for humans? Is there any wisdom to be gleaned from the way their “society” works? 8. When George goes on the camping trip with young Tom, he tells him a tale about a snake (p. 186). What could the snake be symbolic of? 9. Colony Collapse is partially about abandonment of the queen. How does the theme of abandonment or fear of abandonment play out throughout the novel, specifically in Tao’s timeline? 10. Both William and Tao find refuge in going to bed, while George finds himself unable to rest. How do the characters hide from their loved ones? Where do they each find solace? 11. Which character do you think is most important in the book? Whose life story holds the three narrative threads together? 12. On page 316, Tao notices that Li Xiara and the teenage boy are using the same words to describe two very different feelings—“Each and every one of us is not important” could be about either community or loneliness. Do you find meaning in community? How? How could a sense of community be taken too far? 1. Pick up New Observations on the Natural History of Bees by François Huber or Robbing the Bees by Holley Bishop from your local library. 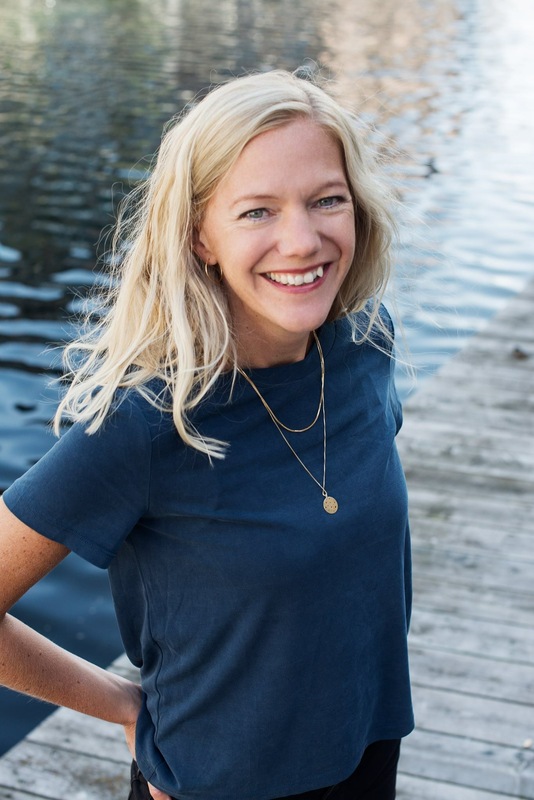 Discuss how what you learn from those texts enhances the fictional world Maja Lunde has created in The History of Bees. 2. Find a local nursery, garden center, or farm that keeps bees and visit to see them in action! 3. Do some research on Colony Collapse Disorder. What was surprising to you? Did you know about its existence before reading The History of Bees? 4. Have a honey tasting! Try some local honey and some that’s more mass-produced. Discuss the differences between the different varieties you try. All three of the main characters are parents, and they’re deeply affected by their hopes and disappointments in their respective children. In comparing their relationships to their children, what were you trying to say about the nature of parenthood? The three main characters are very different, live in different times and places, but have in common that they are parents filled with fear and hope, a fighting spirit, and resignation. And they all want what’s best for their kids, but don’t always know what that is. This is a theme I, as a mother of three, really relate to. Children are constantly evolving, and thus the role of a parent is ever-changing. It is so easy to forget that your child is a completely different person than you, and what’s right for you is often not right for him or her. Tao, George, and William are certain they know what’s best for their children, but are quite often mistaken. Each of the three narrators uses such distinct diction and has such different backgrounds and priorities. Which was the easiest for you to write, and which was the hardest? How did you ensure that you kept their diction distinct? I think George was the one who came easiest. I just loved him, with all his weaknesses, and felt I knew him from day one. Tao was the most difficult one, mostly because her story is from the future. But when I forgot that and instead focused on her as a mother, it started to flow. Her son is three; my youngest was three when I did the writing. It was him, really, I imagined when writing about Tao. That actually made their story very emotional for me. What first sparked your curiosity in writing about the importance of bees to humans? Why choose to make your statement through fiction instead of a research-based nonfiction work? I came up with the idea for this novel after seeing a documentary about Colony Collapse Disorder. It scared and fascinated me at the same time and I immediately knew that I wanted to write this novel. When starting to work with the book, I had three questions: why do the bees die, how does it feel to lose them, how can the world be without pollinating insects? To answer the questions I did a lot of research, and through the research, I found the three main characters of the novel. As a fiction writer, it was the characters who inspired me and made me go on writing. What books did you read, or what websites, to understand England in the nineteenth century? What resources did you draw upon to imagine China in the year 2098? I read a lot of Dickens, among other authors. I found Great Expectations especially inspiring. I also read different history books, and talked to a historian. The biology part was quite a challenge. I did quite a bit of research to find out how much they knew about bees back then, and of course tried to find out as much as I could both about Lorenzo Langstroth and Huber. Langstroth’s story also inspired the story of William: the depressed father rising through a new invention. When it came to China I had to find out how the world could look without bees and pollinating insects. It was not easy—I had to imagine everything, really—but I checked with several experts to try to make it as realistic as possible. I also read books about China today and took note of the pollination system they have in place, the names they’re already using (the Committee, for example), and details like the red scarf, which is used in school. Have you ever thought about keeping honeybees yourself? Every day, at least in summer. But my garden is very small and next to a playground. I’m not sure if the other neighbors would be thrilled. The History of Bees ends on a hopeful note. Why choose to add an element of hope to the dystopian future? How do you theorize the bees made a return? Deep down I’m an optimist; therefore it would be wrong for me to end my novel without hope. As long as we have hope, we are also willing to take the steps we need to make our planet better and safer for children of the future. I want the readers to have their own opinion about why the bees have come back . . . or . . . maybe they’ve been there the whole time? What is something that readers can do to help combat Colony Collapse Disorder? What do you recommend people do if they’d like to help? Keep bees. Plant bee-friendly flowers. And try to live as sustainable and green as you can. When Planet Earth is in trouble, the bees are in trouble. Everything is connected to everything—it’s as simple and difficult as that, really. For which character in the novel—main or secondary—did you feel the most affinity? Affection? Annoyance? I love the children in the book. Charlotte, Tom, and Wei-Wen. They’re the heroes of my story. And in them you find the hope. I got annoyed with all my three main characters when writing, especially William. He could be quite irritating. But I also felt for them, understood them and loved them, and can’t decide which one is my favorite. It’s a bit like asking me which of my three kids I love the most. . . .
Are you working on another novel now? If so, can you tell us a little about it? I am. And again I’m writing about parents and kids, past, present, future. And nature. Write where it burns, we say in Norway. This is where it burns for me. You’ve written children’s books, YA books, and scripts. How did writing The History of Bees differ from those other undertakings? Writing scripts for film and TV is different when it comes to language. The language is only a tool. But building characters and story is sort of the same. I also hear my novels are very easy to visualize for the reader. I guess it’s all my years working as a screenwriter that are coming through! Writing for kids is like writing for the child inside me. Sometimes it’s more difficult than writing for adults, because I have to find her, the ten-year-old Maja. It’s not about being simpler or more childish, it’s about being more imaginative, more daring, perhaps. There’s little that gives more meaning to me than opening the door to the great adventures of books for young readers, and I’m constantly working on new books for children. "The History of Bees is spectacular and deeply moving. Lunde has elegantly woven together a tale of science and science fiction, dystopia and hope, and the trials of the individual and the strengths of family." "I once sat sheltered while a swarm of bees the size of a house flew over me. I wish readers this same cone of isolated, humming space when they read Maja Lunde’s fine novel The History of Bees. Here is a story that is sweeping in scope but intimate in detail. Stepping lightly between a 19th century British naturalist, a contemporary Ohio bee farmer, and a determined mother in a dystopian future China, Lunde dares to imagine the chaos our rapidly changing world invites, while finding order and hope in individual acts of care."